Cost: No cost to attend, but registration is required. China is a $10 trillion economy growing at 7 percent annually and is reshaping our global economy. Over the past 30 years, the Chinese government has at times opened the door wide for foreign companies to participate in its domestic economic growth. In fact, American exports to China have grown faster than to any other nation. Here is your chance to hear from the experts and gather facts to help with your decision. Development of economic development incentives to support company growth. This program is for you, if you are considering or are actively exporting or importing from China and interested in protecting and maximizing your trade with China. David J. Robinson provides business consulting services for capital access, infrastructure financing, business development, economic development and public affairs as Principal of the Montrose Group, LLC, and gained over $100M in funding for economic development projects. Joe Dorrian specializes in China cross border initiatives such as market research, entry strategies,supply chain development and distribution consulting services as Principal for Transom Shields Group, LLC and lived in China from 2000-13 directing supply chain and commercial distribution for both General Electric Aircraft Engines and Thermo Fisher Scientific.The International Trade Assistance Center of Ohio (ITAC) program is funded in part through a cooperative agreement with the U.S. Small Business Administration. The ITAC program is also funded in part by the Ohio Development Services Agency. All opinions, conclusions or recommendations expressed are those of the author(s) and do not necessarily reflect the views of the SBA. Reasonable accommodations for persons with disabilities will be made if requested at least two weeks in advance. CLICK here to register.After you register, you will receive a confirmation email. Directions, parking instructions and other details will be sent before the program. 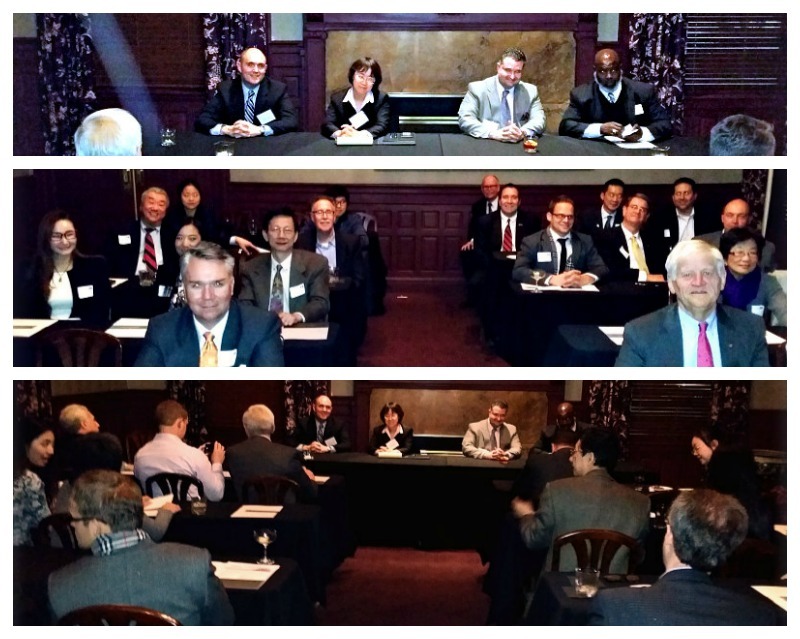 This month we’ve held two events. They happened to be on the same night. We saw a great turnout at both events. 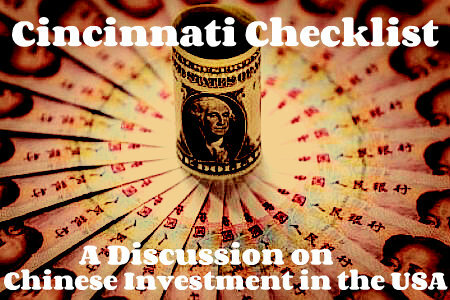 First, we had a great discussion with our panel on Chinese investment. Thanks to one of our newest members, Miller Canfield, for collaborating on the project. Three panel members from Miller Canfield have worked rather closely with Fuyao Auto as they have worked to begin operations at a new plant in Moraine, Ohio. We had some great food and the Phoenix club turned out to be a great venue. The after party took place at Rhinegeist, where we munched on Eli’s BBQ and held a drawing. Some lucky folks went home with brand new slippers for the coming winter. Join at our next Beer and Guanxi in December. We’ll be doing a charity drive. Details to come. The event is free for members.Networking and discussion will take place from 5:30 to 7:30 pm on Nov. 12. It will feature networking, hors d’oeuvres, and cocktails in the historic Chef’s Room of the Phoenix club in downtown Cincinnati. The panelists — Yanping Wang, Shusheng Wang, and Matthew Steele — have intimate knowledge of Fuyao Auto Glass as they have worked to implement their expected $200 million investment in Ohio, the largest by a Chinese company ever in the buckeye state. Join us to learn about how this massive deal is progressing and what we can expect for the future of Chinese business in the region.